More lovely greens. I love how when you stitch them all together they totally blend together in a way that you wouldn't expect them to! If you were to pull all the skeins of green that are in this background you would be like, well, they don't go together, and then you start stitching and its like huh! they do! ﻿You can start to see the outline of the second half of her face. She's looking a little lopsided to me! I know that will change as I progress, I can't wait to get to her hair and those lovely wings of hers!!! Fab progress - and the greens get even better as you get to the wings! 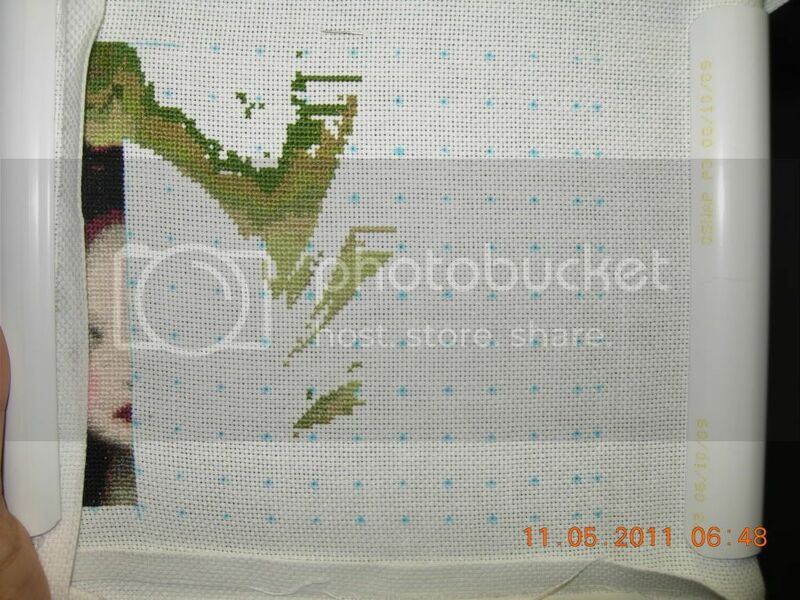 what beautiful stitching, you have great WIP´s ! Great progress. Love the greens.